I don't get to rid the EL much these days but when I do, I love to score this seat below. 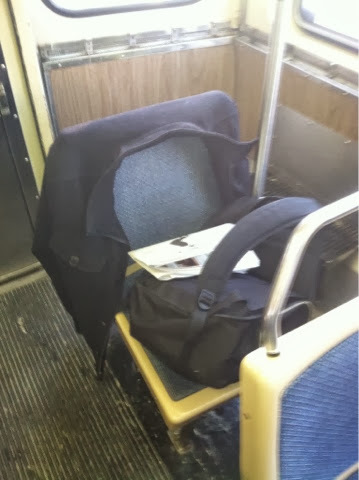 It's perfect for placing my coat or jacket around since my ride is long enough that it can be rather uncomfortable in an overheated train car to wear it. I also have enough space to place my bookbag yet keep it safe from snatchers. Finally I can spread out without bumping into the person next to me. Although when the train gets crowded enough, people do insert themselves in the spaces behind that seat.